"'Storytelling is important. Part of human continuity.' 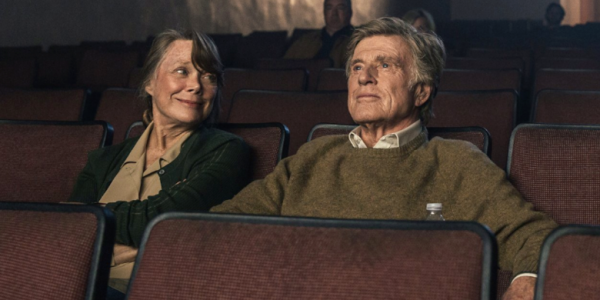 Robert Redford "
Director David Lowery (Pete’s Dragon) has the formidable task of handling two legends with the release of The Old Man and the Gun. The first being the biographical look into the life of career criminal and prison escape artist, Forrest Tucker. 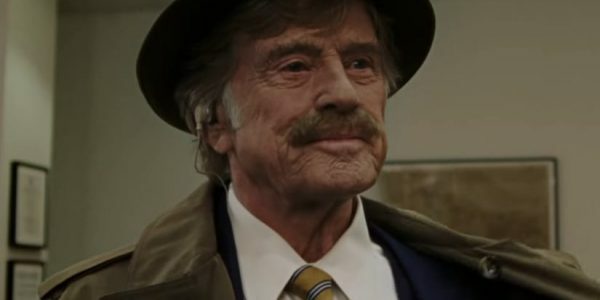 A legendary bank robber who came to fame during a spree of thefts that occurred while he was in his senior years with ‘The Over-the-Hill-Gang.’ The second being screen legend, Robert Redford (A Walk in the Woods) who plays the character and who announced that this will be the final film of his acting career. The pressure of two legacies in his hands, will Lowery be able to do justice to both of these historical figures? Despite living a life of crime throughout his life, Forrest Tucker (Redford) rose to fame throughout the late 1970s and early 1980s during a string of bank robberies that occurred throughout the southern portion of the United States. Because he and his accomplices were considered senior citizens and took minimal amounts from each heist, the robberies were not connected until the work of Dallas detective, John Hunt (Casey Affleck) brought the connection to light. Once the ‘The Over the Hill Gang’ was identified and Hunt began to look into their past, most other criminals would have ceased their activity and would lay low, but not Tucker. Relishing the attention, he continued their acts and decided to go for bigger targets while basking in the media attention. During this spree, the seasoned criminal not only robbed banks, but managed to steal the heart of a ranch owner and widow, Jewel (Sissy Spacek). As their romance blossomed, Forrest tried his best to keep his life of crime separated from this new love interest. This became more difficult as more attention was given to his criminal exploits and as law enforcement began to discover his true identity. Tucker eventually needed to determine what life he was going to choose, either being on the run or a quiet life on the farm with Jewel. Considered a maverick and an innovator within the ranks of the Hollywood elite, this film represents a fitting end to the acting stage of Robert Redford’s career. This may not be the best film of his illustrious career, but this production contains all of the earmarks of what allowed fans to cheer for this man throughout the decades. Letting him play the suave and debonair thief provides a poignant bookend to his filmography, with Butch Cassidy and the Sundance Kid and The Sting on the other end. The whole film captures the era with the grainy 70s documentary feel that complements the legendary actor while still keeping an eye to the fascinating, yet tragic life of Forrest Tucker. Making room for an explanation of his criminal nature and escape artistry while still showing the burgeoning relationship between him and his innocent love interest. Which means that the pacing may be a bit slow for today’s modern audiences, but this measured approach is more complementary to the production than distracting. Providing a fitting end to Redford’s time on the big screen and a strangely honorable depiction of a career criminal, showing that a small, independent film can punch above its weight in serving dual purposes and living up to the high expectations put upon it.